Jakub Jan Ryba is wrongly regarded as a composer of only one piece: the czech christmas Mass, without which today it is impossible to imagine czech christmas. His legacy as a composer, however, is much more diverse than anyone could think. It reflects the richness of Ryba’s multifaceted talent, stemming in part from his conscious conceptual thinking but at the same time wholly imbued with spiritual charge with which Ryba, a deeply religious man, endowed all his works. His musical talent, creative powers, congenital diligence and resilience predetermined him for the career of a professional musician and successful composer – but his fate, or, if you prefer, God led him in a somewhat different direction. And so this versatile artist inspired by the Muses, a composer, poet and philosopher, ended up in the rural town of Rožmitál pod Třemšínem, where he dutifully performed his job as a teacher. However, the sound of music in his heart did not fade away – quite the contrary. He put his talent mainly in the service of church music, writing compositions for the choir of Rožmitál which abound in fresh inventiveness and ability, through musical language, to convey christian messages and mysteries to the common people. There is no way for us to know whether Ryba realized the extent of his musical talent and how much he suffered from narrow-mindedness in his social environment, which did not allow him to develop it fully. What we do know is that being a responsible man, he did not neglect any of the duties entrusted to him. As a consequence he often found himself on edge, both mentally and physically exhausted. This further aggravated his constant struggle for recognition, understanding, and often mere existence. The pressure of adverse circumstances, combined with the fragile psyche of the sensitive man and artist, eventually led him to the last resolution in his life, that of dying by his own hand. Thus tragically ended the life of the Renaissance artist Jakub Jan Ryba, who was never allowed even to touch the worldly success his talent deserved. However, the music he left behind is full of immeasurable spiritual riches, and its permanent value still powerfully speaks to us today. The name of the most prominent czech teacher-musician at the turn of the eighteenth and nineteenth centuries, the well-educated teacher and choirmaster in Rožmitál, composer, writer and poet Jakub (Šimon) Jan Ryba (26 October 1765 – 8 April 1815) is still mostly remembered in connection with his Česká mše vánoční (czech christmas Mass) from 1796. As the only original czech mass ever, it ensured recognition for its composer not only across Europe but also overseas. On the other hand, the rest of his extensive and diverse work still goes unnoticed and is only available to a narrow circle of music experts and several enthusiastic admirers. The backbone of his work is sacred music, which was prompted by practical needs of the Old Rožmitál chorus and by the duties ensuing from his position as headmaster, which he held from his arrival to Rožmitál in 1788 until his death. Besides these compositions he also wrote numerous works the scope, instrumentation and complexity of which exceeded local capacities. The majority of them were compositions dedicated to the choir in Plzeň. Of his abundant work (ca 1,500 compositions) only a minor part has survived: about 400 sacred works, and a slight torso of secular music. All the same, Ryba’s musical legacy is truly remarkable. He composed dozens of arias, pastorales and other smaller pieces intended for the church, as well as 89 masses, but also some extensive and for his time remarkably progressive compositions. A peculiar and so far little known part of Ryba’s sacred work are his compositions to a czech text, which with the single exception of his signature piece (where he, like in some others, set his own text to music) have never been performed. 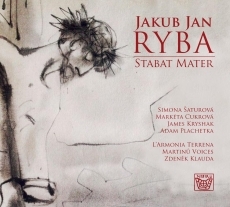 All of them provide a valuable evidence of Ryba’s effort to employ the czech language in sacred music. Alongside with his absolutely unique Tě Boha vychvalujem (Te Deum), Chválozpěv k sv. Janu Nepomuckému (The Hymn to St. John Nepomuk) from 1803 and two Stabat Mater compositions, his affection for his mother tongue is most clearly attested by his Nešporní zpěvy (chants for Vespers) from 1798, for which Ryba translated from Latin and put into verse five Sunday psalms and the Magnificat. However, in most of his sacred works Ryba respectfully uses the liturgical language – Latin. The highlight of this part of his output is his unique project titled Cursus Sacro-Harmonicus, on which he started work in 1808 and wherein he undertook to compose masses, gradualia and offertories (variable components of the mass) for each Sunday of the liturgical year and important holidays. Although during the last years of Ryba’s life only a third of the intended whole was accomplished, his five-volume manuscript on 1,300 pages is not only admirable evidence of Ryba’s mastery as a composer, but especially his indomitable diligence and purposeful effort to uplift the level of church music. ideas.” He provided the introductory Toccata with comments in Latin, enhancing his composition with an extra-musical philosophical program. Despite his extensive activity as a composer and a writer, the main focus of Ryba’s life was his mission as a teacher, which at the cost of personal sacrifice he relentlessly pursued until his death. Still, his strenuous job did not prevent him from writing tremendous works, often in a difficult personal situation. As a result, he has a permanent place alongside the most remarkable czech composers. Simona Šaturová won a Thalia Award in Prague in 2001 and a charlotte and Walter Hamel Foundation Prize in Lübeck in 2007. Among the highlights of her recent seasons are Violetta Valéry and Gilda at Brussels Royal Opera La Monnaie, where she has been a permanent guest since 2010 (singing Ilia, Sandrina and Servilia), and Lucia di Lammermoor at Oper Frankfurt (Pamina, Oscar, Madama cortese). She often performs at the Aalto Theater in Essen (Konstanze, Violetta, Donna Anna, Adina, Elettra) and the National Theater in Prague (Violetta, Gilda, Konstanze, Donna Anna). Her further engagements have brought her e.g. to the Teatro colon in Buenos Aires, Theater an der Wien, Megaron Athen, Théâtre du châtelet in Paris and Opera de Monte carlo. She has also reached international recognition as a successful performer in concerts. She has performed at festivals in Salzburg, Luzern and Vienna (Wiener Frühlingsfestival), at the Tanglewood Music Festival, the Edinburgh Festival, the Prague Spring Festival, the Festival Rheingau, and at concerts at carnegie Hall in New York, at Suntory Hall in Tokio, in Tel Aviv, Dallas, Toronto, Oslo, zürich etc. She has repeatedly collaborated with such conductors as christoph Eschenbach (Philadelphia Orchestra, Orchestre de Paris), Manfred Honeck (Pittsburgh Symphony Orchestra, Oslo Philharmonien), charles Dutoit (Boston Symphony Orchestra), Adam Fischer (London Philharmonic Orchestra, Orchestra of the Age of Enlightenment), Ivan Fischer (Münchner Philharmoniker) and Tomáš Netopil (Orchestra dell’Accademia Nazionale de Santa cecilia, Orchestre National de Lyon). Mezzosoprano Markéta Cukrová is a unique phenomenon on the czech vocal music scene. For her versatility and sense of style she is a sought-after performer in a variety of musical genres, from the middle ages to the twentieth century. Her long-term success on the field of old music has yielded her collaboration with renowned orchestras, both czech and foreign (La Risonanza, Mala Punica, collegium 1704, collegium Vocale Gent, Göttingen Festival Orchestra, collegium Marianum, Ensemble Tourbillon). With them she has participated in more than twenty recordings. Her performances of early song repertoire accompanied by fortepiano from the works of masters from the turn of the eighteenth and nineteenth centuries (Haydn, Tomášek, Berlioz) met with great success. 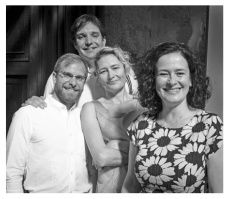 Her last year’s record of eight Italian arias by Jan Dismas zelenka, accomplished in collaboration with Ensemble Tourbillon for the German publishers Accent, has gathered interest of European musicologists. In addition to her extensive concert activity, she also plays in theaters. Her role of Dardano in Handel’s opera Amadigi di Gaula in 2012 received some enthusiastic reviews and she was invited to a solo recital at the Handel Festival in Göttingen, Gemany. Later, she was invited to perform on czech stages in Bohuslav Martinů’s operas Hry o Marii (The Miracles of Mary) and Juliette at the National Theater in Prague. Another great success came with the role of Queen Dido in Purcell’s Dido and Aeneas at the National Theater in Brno. The American tenor James Kryshak made his professional opera debut in 2008 as Don Ottavio in Raylynmor Opera’s production of Mozart’s Don Giovanni. His other leading opera roles include Ernesto in Donizetti’s Don Pasquale, Pedrillo in Mozart’s Die Entführung aus dem Serail (The Abduction from the Seraglio), Pelléas in Debussy’s Pelléas et Mélisande, camille in Lehár’s Die lustige Witwe (The Merry Widow), Scaramuccio in Ariadne auf Naxos by Richard Strauss, and the Schoolmaster in Janáček’s Příhody lišky Bystroušky (The cunning Little Vixen). During the 2013-14 and 2014-15 seasons he was a regular soloist with the prestigious Vienna State Opera, having made his debut in Vienna as the Shepherd in Wagner’s Tristan und Isolde. A winner in both the district (Wisconsin 2008, Minnesota 2009) and the regional (Upper Midwest 2009) levels of the Metropolitan Opera National council Auditions, he sang on the stage of the Metropolitan Opera as a national semi-finalist in February 2009. He was also awarded a Shouse career Grant (Wolf Trap Opera, 2012), a Richard Gold career Grant (The Shoshana Foundation & Lyric Opera of chicago, 2012), a Union League civic and Arts Foundation Prize in Male Voice (2011), as well as a Lola Fletcher Prize of the American Opera Society of chicago (2011). Festival, Deutsche Oper and Deutsche Staatsoper in Berlin, Teatro alla Scala in Milan, Houston Grand Opera, Lyric Opera of chicago and Metropolitan Opera in New York. He has recorded for Arte, Arthaus Musik, czech Television, czech Radio, Deutsche Grammophon, Mezzo, Naxos, Orfeo, ORF and Supraphon. From his childhood, Zdeněk Klauda has pursued composition and played the piano and the flute. After his graduation from gymnasium he started to study conducting with Hynek Farkač. In 2005 he completed his studies at the Academy of Performing Arts in Prague. Since then he has been in a permanent engagement at the National Theater in Prague. He has published his compositions with various publishers including Alliance Publications, Inc., Sinsinawa, Wisconsin. In 2008 he was invited to collaborate in Dvořák’s Rusalka at the Salzburg Festival. Since then he has been a regular guest with prestigious European operas, such as Bayerische Staatsoper in Munich, Opera Valencia and Opera National de Paris. In 2012 he participated in Janáček’s Příhody lišky Bystroušky (The cunning Little Vixen) for the legendary festival in Glyndebourne, and in the following season in Mozart’s Le nozze di Figaro at the same festival. In 2012 he was awarded third prize at the contest of conductors in Romania. He has collaborated with such conductors as Franz Welser-Möst, Kyril Petrenko, Vladimir Jurowski and Tomáš Netopil. 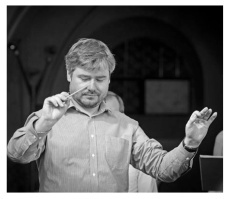 In 2014 he founded the chamber orchestra L’Armonia Terrena, which specializes in the introduction of newly discovered compositions of czech classicism. The orchestra started its activity in collaborating with Simona Šaturová and recording a cD for the “decade” project. The album of Mysliveček’s and Mozart’s opera arias has been highly appraised in the prestigious musical journal Diapason. L’Armonia Terrena is a chamber orchestra initiated by the top quartet players of the middle generation: violinists Jan Valta and Daniela Oerterová, violist Jiří Žigmund and violoncellist Lukáš Polák. These experienced chamber players are coupled with excellent young soloists, crowned with success from international singing competitions, who in collaboration with this orchestra also often perform as soloists. L’Armonia terrena plays on modern instruments, but with a focus on the distinctiveness of the style of their repertoire.